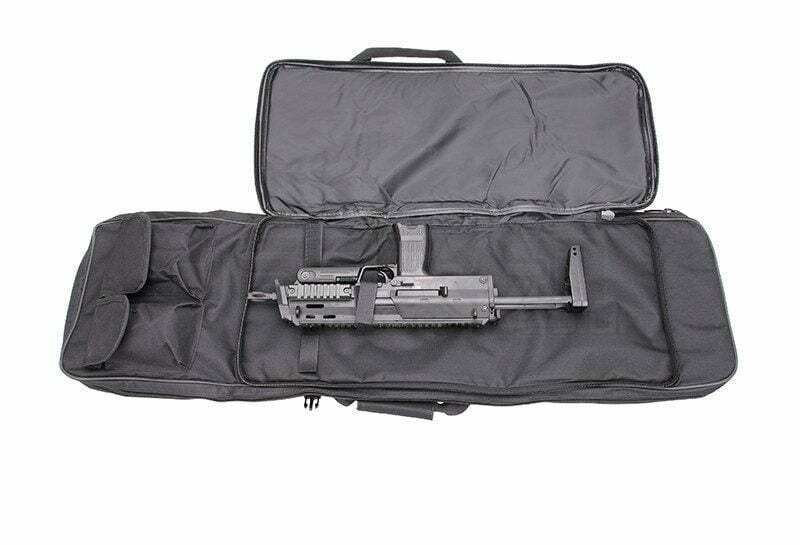 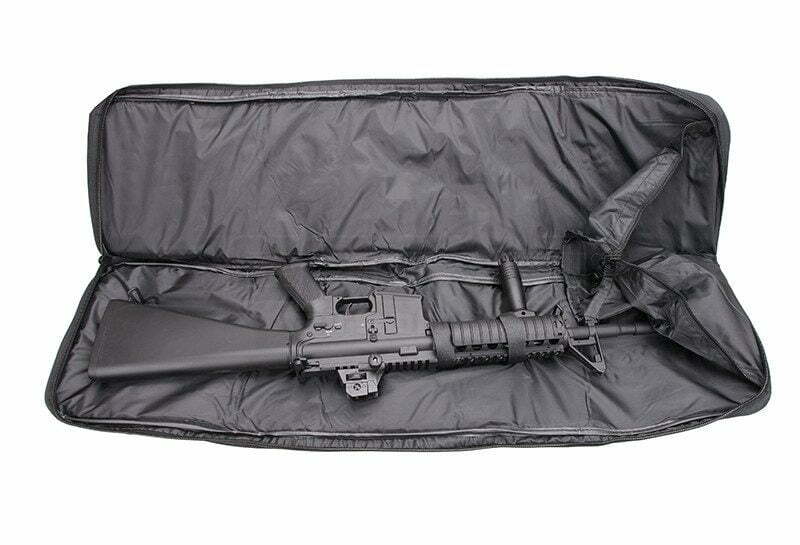 Bigfoot Wargame Airsoft Rifle 2 Section Case/Bag with two main sections for both a large rifle and an SMG. 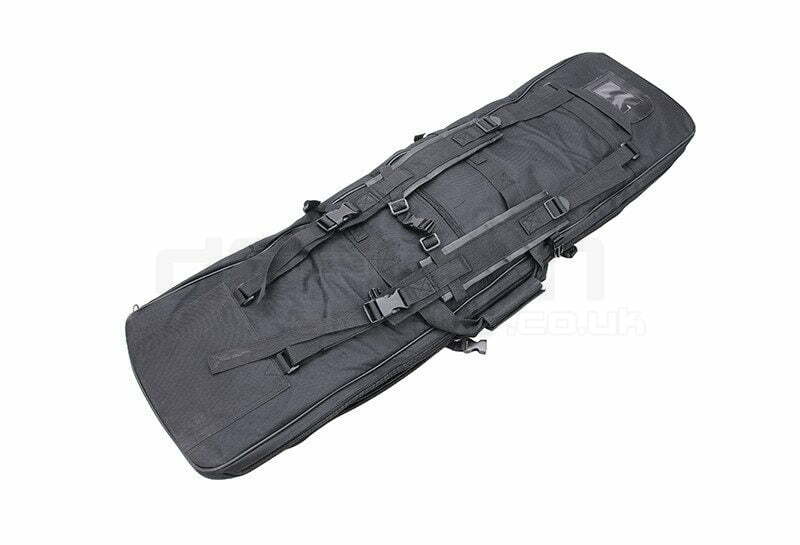 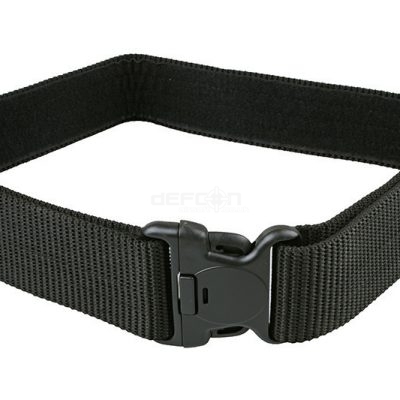 Largest section big enough for a rifle up to 100cm in length (or 115cm with use of external extension hood). Additional section large enough for a smaller weapon up to 65cm long. The case also has numberous external pouches to hold ammo, magazine’s batteries or even a small pistol and a rear zip compartment that runs the whole length of the bag. 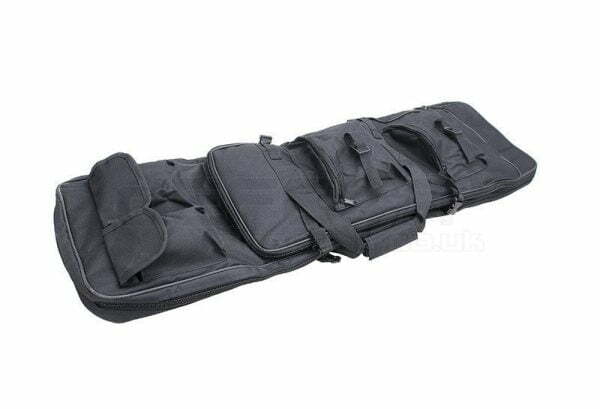 Diameter: 100 x 30 centimeters.